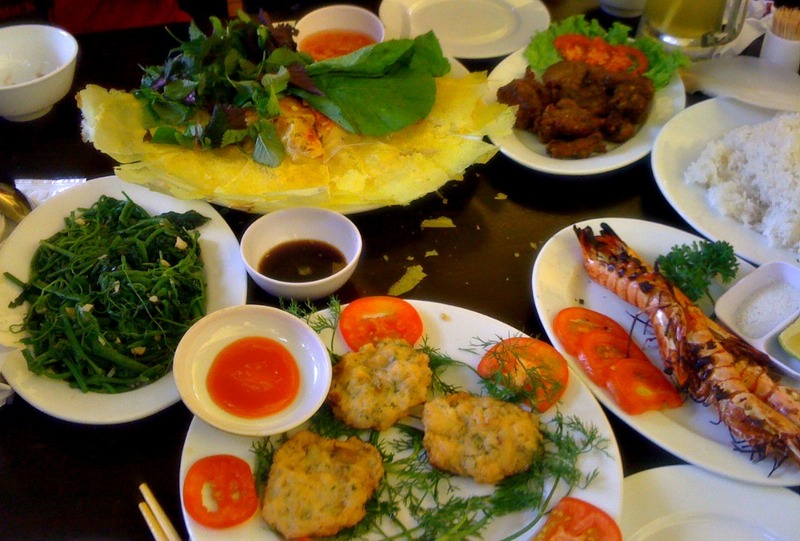 We loved so many things about Hanoi from the crazy streets to the amazing food but here are the five of the best things in Hanoi that have stuck in our memories. 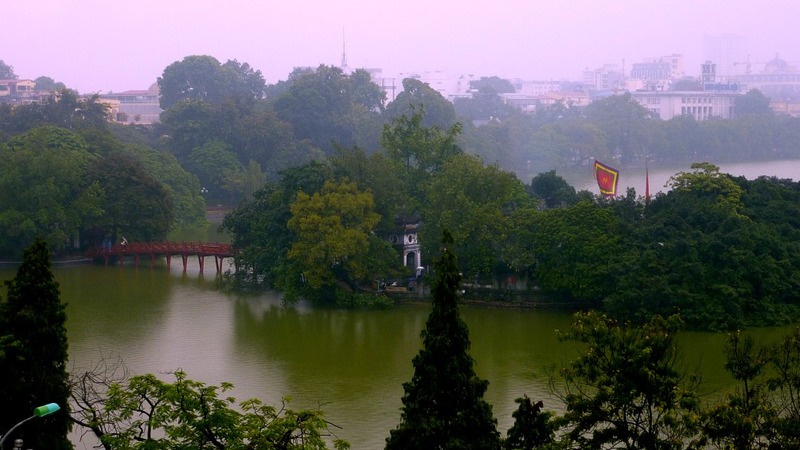 Hoan Kiem Lake acts as the centre of relaxation for the residents of this hectic city. Taking a walk right around the lake is highly recommended. It is an easy 1km loop and a great chance for some people watching. 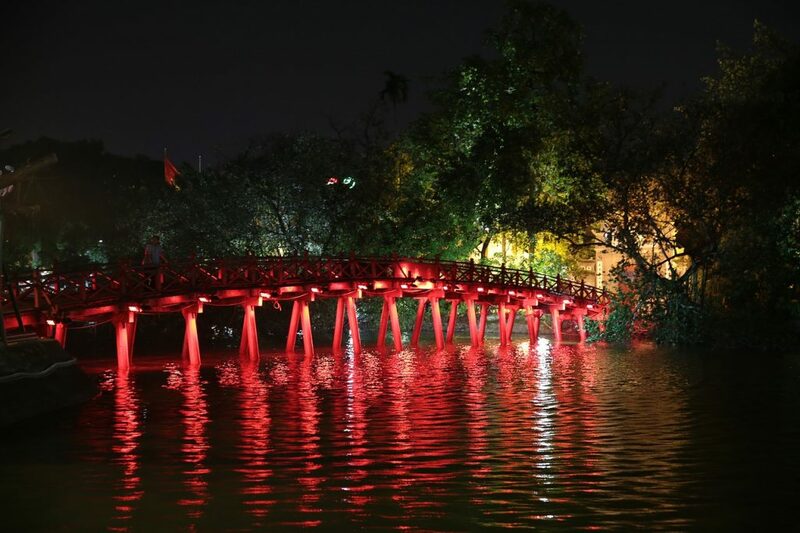 With features like the beautiful red Huc Bridge and the Turtle Tower, there is plenty to keep your camera busy. The lake can look completely different depending on the time of day so try to walk around it at least twice, firstly at sunrise and then again at sunset. Our favourite time here was at dawn, the waterfront area really comes to life as people head to there to exercise. Young and old, they run, practice Tai Chi, stretch, dance and even play badminton. They do not seem to mind being watched by sleepy tourists and even encourage you to join in. In the evenings you see students studying, lovers sneaking private moments alone and families have picnics. 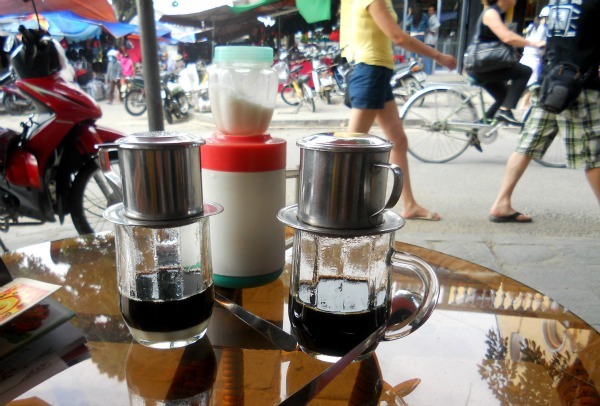 A cup of hot Vietnamese coffee is a great way to wake up! While you might think it looks strange, try it – It is not like a flat white from home but it does wake you up, and after a few cups it is just as addictive. After a month in Vietnam, I arrived back in Sydney and needed to hunt down a cafe that sold this sweet concoction I missed it so much. Either way, hot or cold it is fantastic. But be warned it is very sweet so it will take you a while to kick the sugar habit you have picked up when you get home! From the crunchy perfect Banh Mi (pork rolls) to the refreshing Bun Cha (BBQ Pork noodle salad) and steaming bowls of Pho Ga (chicken soup) the local street food options in Hanoi and usually pretty good and always very cheap. We ate street food most days for a month and never tired of the variety like we do in some places we visit. 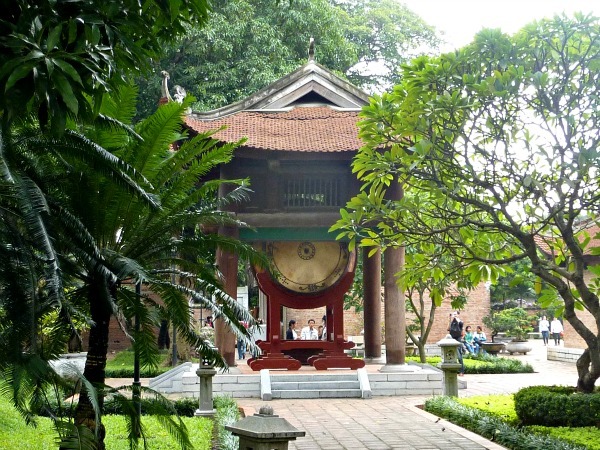 The Temple of Literature is a Confucian temple built in 1070. The complex houses several buildings including the Imperial Academy – Vietnam’s first national university. Today it has become a favourite photo stop for graduating students. We toured with some local students who explained the history and uses of the buildings along with lots of traditions and superstitions. Their stories really bought the place alive. 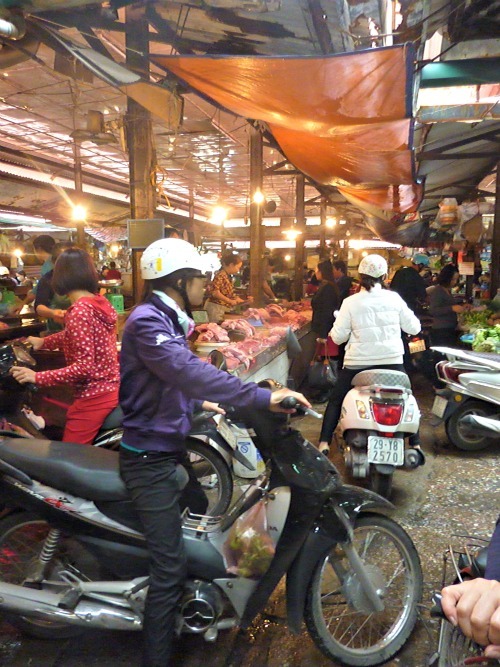 Why park your bike to enter the market when you can just ride inside? Just when you think you have seen it all, you will see something else that reminds you just how different life in Vietnam is different to life at home. Have you been to Vietnam? What did you love?